I hope most of the Windows lovers have downloaded the BETA copy of Windows 7 and roaring to install it. Donâ€™t start your install procedure without reading this guide as you may lose many important files and settings. In this guide I will point out some important things that you need to do and remember before installing Windows 7 on your machine. 2. Backup Vista: If you are planning to upgrade from Vista SP1(SP1 is must) then itâ€™s a good idea to backup your Vista drive so that you can revert back to Vista easily. I hope most of you know how to do back up task! *Other program profiles that you use. 4.The most important thing for a web addict is browser bookmark folder. 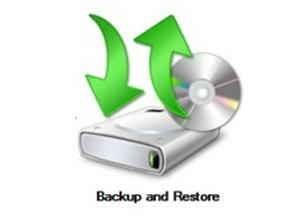 Use backup Bookmarks option in your browser to create a bookmark. Download Password Exporter add-on for Firefox to backup all your saved passwords. Also donâ€™t forgot jot down all installed add-ons! You can even use Mozilla Restoration to backup full Firefox profile. 5. Next obvious task is to backup all the custom settings that you have done to your Vista. Of course, you can back up! Type Windows Easy Transfer in Start Menu search box and hit enter to open. Follow the simple instructions to complete the task. Windows Easy Transfer helps you move your many files, folders, and program settings from one computer to anotherâ€”all in one process. 7. Move your Download folder from the â€œCâ€ drive to any other safe location so that you will not lose the downloaded files. 8. Though Microsoft recommends 16GB drive to install Windows 7 I recommend at least 30GB so that you wonâ€™t run out of free space in near feature. 9. If you have any files in Desktop just move to safe place since most of us keep important files on Desktop for quick access.